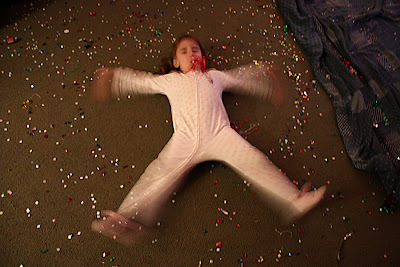 ... making angels in glittery confetti in the early hours of the New Year! Oh I love LOVE that photo! that is an awesome photo!! i love how you caught the movement of her arms and legs. it's perfect. happy new year!